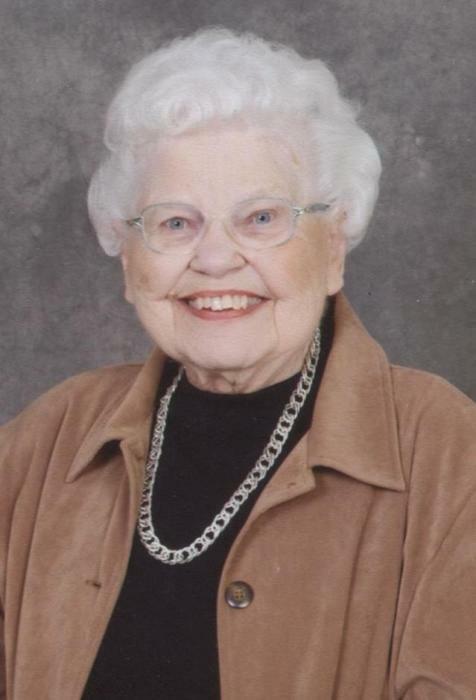 Lillian (Lil) Von Lehmden of Fort Jennings passed to the Lord on Sunday April 14 at Vancrest of Delphos. She just celebrated her 97th birthday two weeks earlier, having been born on March 31, 1922. She was married to Richard Von Lehmden of Fort Jennings on May 22, 1943. Richard died on February 12, 1970, so Lil lived over half of her life as a widow, never even thinking about remarrying. She was the youngest daughter of Henry and Anna (Lindeman) Moenter and had two brothers, Richard (Melinda) Moenter and Otmer (Catherine) Moenter of Delphos, and Dorothy (Alphonse) Schimmoeller, and her brother-in-law Elmer Von Lehmden, all of whom are deceased. Lil was loved by many and is survived by her three sons, Robert (Virginia) of San Antonio, Texas, Kenneth (Ellen deceased) of Bluffton, Ohio and William (Jan) of Ottoville. She is also survived by eight Grandchildren, 14 Great Grandchildren, sister-in-law Sue Von Lehmden, and several nieces and nephews. Lillian was a true example of a faithful servant as a wonderful mother and grandmother and a loyal friend. She served as a volunteer telephone recruiter for the Red Cross blood drives for over 45 years. She was the administrative assistant at Fort Jennings Elementary from 1969-1996 and then volunteered as a classroom aid there for eight more years. Lil was a Fort Jennings Musketeers super fan since her three sons played there, with one of her favorite memories being that she was present to see the Musketeers win a basketball state championship. She enjoyed fellowship with her ladies bridge club for over 70 years, right up to the time of her death. Lil died as she lived, as a faithful servant of the Lord. Friends are welcome to extend their condolences to the family on Tuesday, April 16 at Harter and Schier Funeral Home from 3:30-7 PM with a parish wake service at 3:45 p.m. Her funeral mass will be held at St Joseph Catholic Church in Fort Jennings on Wednesday, April 17 at 10AM, Father Charles Obinwa presiding. There will be visitation for one hour prior to the funeral as well. Memorial contributions can be made to the National Multiple Sclerosis Society, the Fort Jennings High School Athletic Booster Club, or St Joseph Catholic Church.